The ultimate travel bucket list is definitely a cruise through Antarctica. From Nicole: Alan and Donna were exploring parts of Hawaii this week. 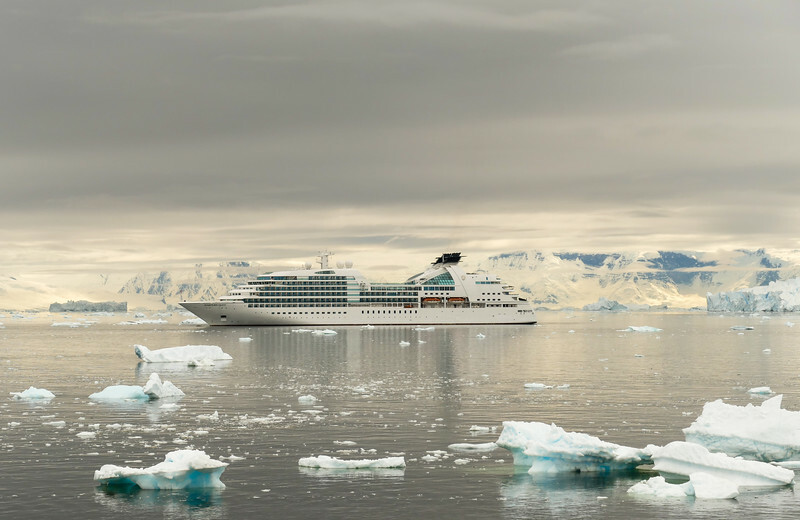 Although I’m guessing it was hard to step off the fabulous Crystal Serenity, I’m sure they’ll have plenty of new adventures to share. In the meantime, check out our past articles about visiting Oahu and other Hawaii cruise excursions. Are you curious about how Alan and Donna choose their cruises? Well, take a look at our Luxury Cruise Planner where Donna gives some useful advice on picking the right ship and destination for you! This week, we’re taking you off the beaten path in Morocco. Of course, exploring the winding paths and mouth-watering aromas of Marrakesh is incredible, this week’s guest post takes us to the smaller towns outside of the tourist areas. If Morocco is on your bucket travel list this year, or any other wonderful destination, make sure to keep yourself on track with these handy travel bucket list apps! Located in one of Chicago’s most picturesque recreational areas, Eagle Ridge and Spa is offering their annual Spring Ahead Promotion. Book now until February 15th, 2019 and get 15% off standard rates until May 14, 2019. Must call and use SPRING AHEAD when making the reservation. Planning a cold weather travel for 2020? Donna says that now’s the time to purchase clothes for your trip. Chico’s has some great-looking sweaters. You just may find them in this sale starting 1.28.2019: 40% Off All-Ready Reduced Styles (Up To 60% Off Select Styles). Donna’s favorite sweater, the Zenergy Cozy Medallion-Print Cowl-Neck Tunic is already reduced from $79.50 to $49.99 plus you’ll get the extra percent off from the sale. That’s a bargain! Emerald Waterways has a great deal for European River Cruises. If you book before March 1, 2019, travelers can enjoy free flights from the US or savings of up to $2,000 per couple. Looking for a warm weather escape? Head to the Ranch at Death Valley, who are offering 20% stays until February 14th. Use promo code GRAND when booking. If our guest post on Morocco has you wanting more, check out Nomadic Matt’s experience exploring this beautiful area on a two week trip. If Alan and Donna’s ongoing cruise has inspired you to sail the open seas, start out by reading the Ultimate Guide to Packing for a Cruise from Cruise Critic.